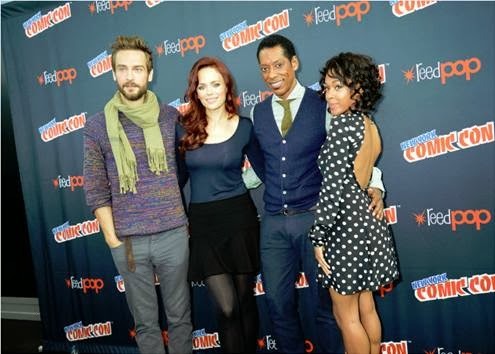 Reel Talk Online: Watch The New York Comic Con Fan Footage Of "Sleepy Hollow"
Watch The New York Comic Con Fan Footage Of "Sleepy Hollow"
Are you watching "Sleepy Hollow" on FOX? If not, you definitely should be. The small screen re-imagining of the famous fable is like the distant cousin of "American Horror Story"--scary, mysterious and with a penchant for combining horror and history in a very accessible way. Actress Nicole Beharie (Shame, American Violet, 42) plays Lt. Abbie Mills, a present-day detective who partners with none other than Ichabod Crane (Tom Mison) to solve extra creepy, extra cold cases from hundreds of years ago. Beharie, Mison, Katia Winter (who plays Ichabod's long suffering wife), Orlando Jones (who plays Captain Frank Irving on the show) and the show creator Len Wiseman and producers headlined New York Comic Con this past weekend and were met with a very captive audience, despite only four episodes having aired (it was recently announced that the series has just been renewed for a second season). 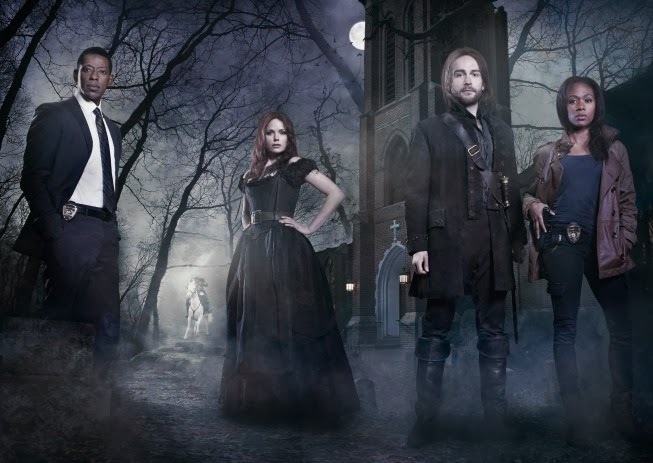 "Sleepy Hollow" airs on Monday nights at 9pm EST/8pm CST on FOX.